Limousine service is a common part of seminal modern celebrations like weddings and proms. However, before the invention of the automobile form of the limo in the early 1900s, chauffeured rides in gold-gilded horse-drawn carriages were all the rage in the 1700s. The term “limousine,” referring to a vehicle in which the driver is in a separate compartment from the passengers, first came about in the 1700s for carriages that carried mostly wealthy elites. The name stems from the resemblance between the carriage driver’s cover and the cloaked hoods characteristically worn by shepherds in the former French province of Limousin. This term carried on into modern use where, in 1902, we saw the introduction of the first automobile chauffeured rides. Today, “limousine” usually refers to a stretch limousine, in which several passengers can ride in a large cabin at the back of the vehicle. This type of limo was invented in Arkansas in 1928 but wasn’t associated with formal occasions like it is today. Instead, the vehicle was primarily used to transport famous big band leaders and orchestras to performances throughout the nation. Beginning in the 1930s, limousine service became a status symbol for the glitterati. 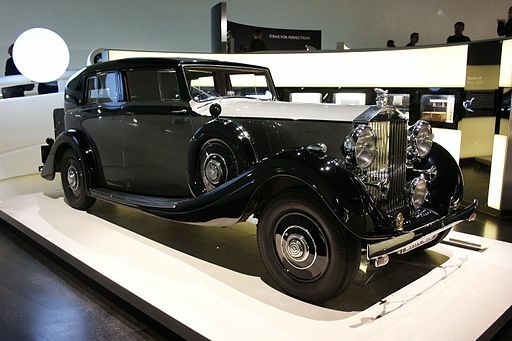 These cars were commonly used to transport high-profile guests to and from hotels and airports, political figures and their entourages, and Hollywood stars. In addition to recreational use, stretch limos were used to move crews and extras around movie sets. In the middle of the century, six-door limousines, also called stages, were introduced. These became a standard form of funeral transportation for the family of the deceased. Today, hiring a limousine service is an excellent choice for any individual who wants to ride in style, particularly if he or she is planning to drink. Arranging for a car means a safe and worry-free night. Today’s stretch limos are also packed with comfort and luxury features, such as full bars, plasma screens, colorful fiber optic lighting systems, strobe lights, sunroofs, DVD, CD, or streaming media players, intercom systems, leather seating, and plush carpets. Whether you’re planning a wedding or just want to enjoy a fun night out with friends without worrying about a designated driver, a limo service is a timeless way to travel in style.